Today I have a full post for, you let me tell you, lots to read here today, so get your morning coffee, sit back and relax. First on the list is today’s recipe. These are my Almond Joy Cookie Balls. They taste just like an Almond Joy Candy Bar! I came up with this idea with a cookie I made this week, but it was a fail! They tasted super good, but they kind of flopped on me. I realized from the taste of them, if I omit the egg and some of the almond flour, I could have a good raw cookie on my hand. So I gathered my ingredients and came up with the perfect Almond Joy Cookie Ball, which is gluten-free, vegan if use Sunspire Chips and super perfect. Want to see what the first batch looked like? See what I mean? They flattened right out!! But they tasted good! I ended up throwing them out because I could easily find myself eating all the pieces. They turned out like really, really thin Lacey’s. I thought making these in raw version would be even better and they are! They are made with Coconut Oil, that I picked up from Trader Joe’s, coconut, extracts, almonds, dark chocolate shavings and stevia! 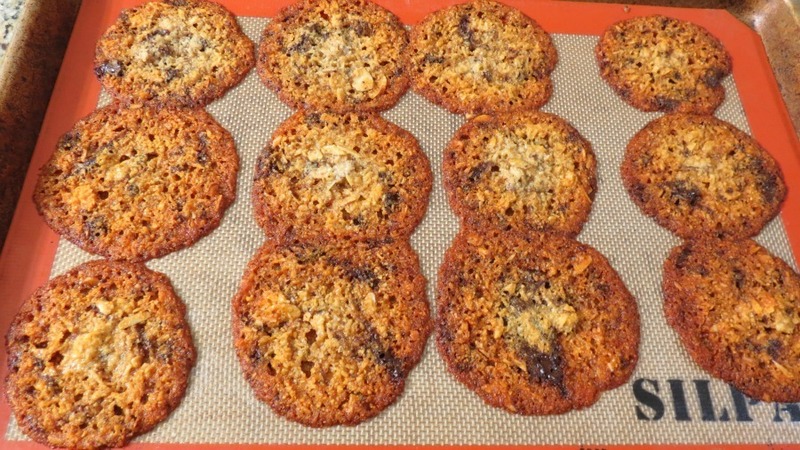 My Husband is afraid of my raw cookies, because he isn’t to keen on them, but he said they are really good! Yah! I think they are pretty good my self. I love Almond Joy’s and it’s nice to know I can have a healthier version! Do you like the little basket from the first photo? I picked them up in the dollar bin at Target. 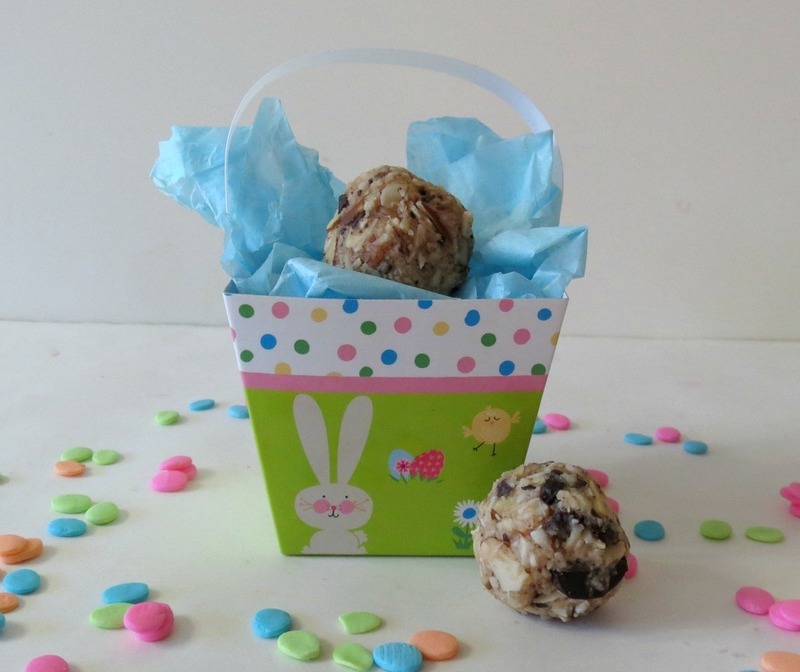 I think the baskets are perfect for these little balls and would make a nice Easter Treat. Or if you like you can also put the balls in little muffin cups. They are just the cutest little cookies! Making these cookies are a breeze! You just mix everything together in a bowl, I used my hands, shape into tight little balls! When you bite into them, they are super soft, which surprised me because they felt kind of hard on the outside. If you want to take these balls one step further, you could also dip them in chocolate. But I skipped that! I’m kind of lazy today! I stayed out past my bed time and I am beat! 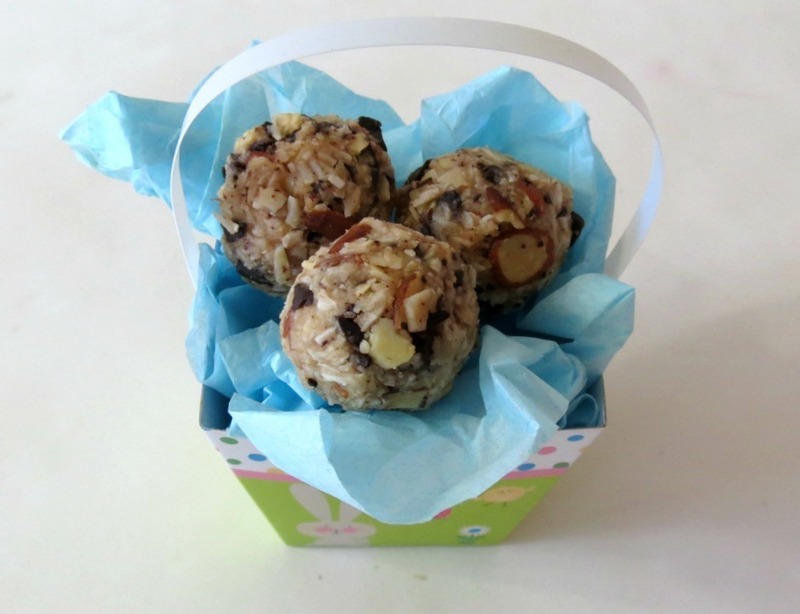 A healthy, raw cookie chock full of almonds, coconut and chocolate. The perfect replica of an Almond Joy Candybar. In a bowl add coconut oil, stevia, coconut extract and almond extract; whip together with a spoon. Add almond flour, salt, almonds, and coconut; mix together with your hands. Add the chocolate and mix again with your hands until chocolate is mixed in well. Line a plate or baking sheet with parchment paper (optional). Take about a tablespoon of batter and tightly squeeze into a ball. Place on parchment and continue the same with the rest of the batter. 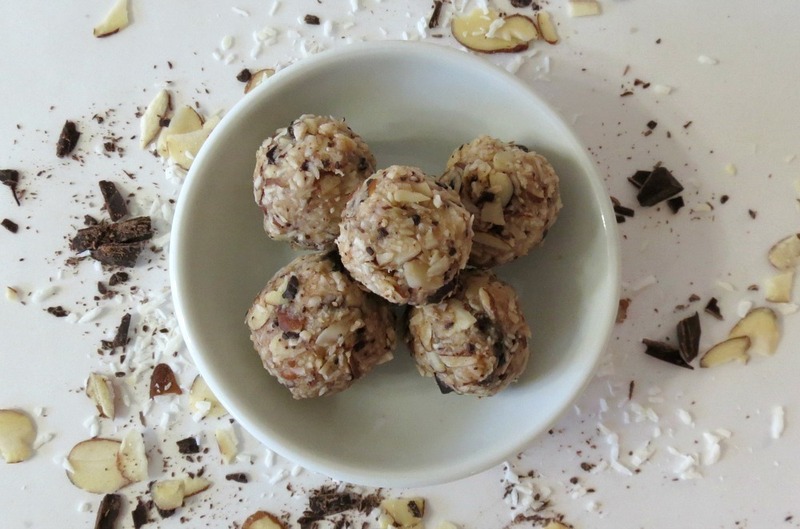 You can freeze or refrigerate your almond joy coconut balls. 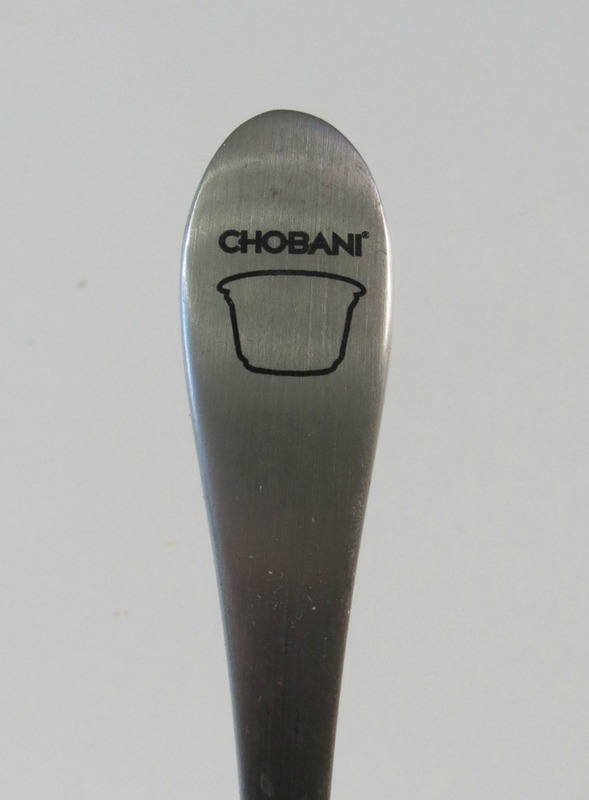 I have to share with you a treat that I got this week from my Friends over at Chobani! I was so excited when I got the package. I had no idea that this was coming!!! I just love my Chobani!! How nice is this? They sent me a shipment of their newest Chobani Yogurt, which are called Flips. It’s flavored yogurt, with a cup of granola on the side. Plus they also sent me a t-shirt, Chobani spoon and the nicest hand written letter. Here is a picture of the Flips. I have to say, these make an awesome breakfast. My favorite so far is the strawberry and the Almond Coco Loco! Dam they are good! I don’t know if they are in the store yet? I haven’t seen them, but I’ll be looking. 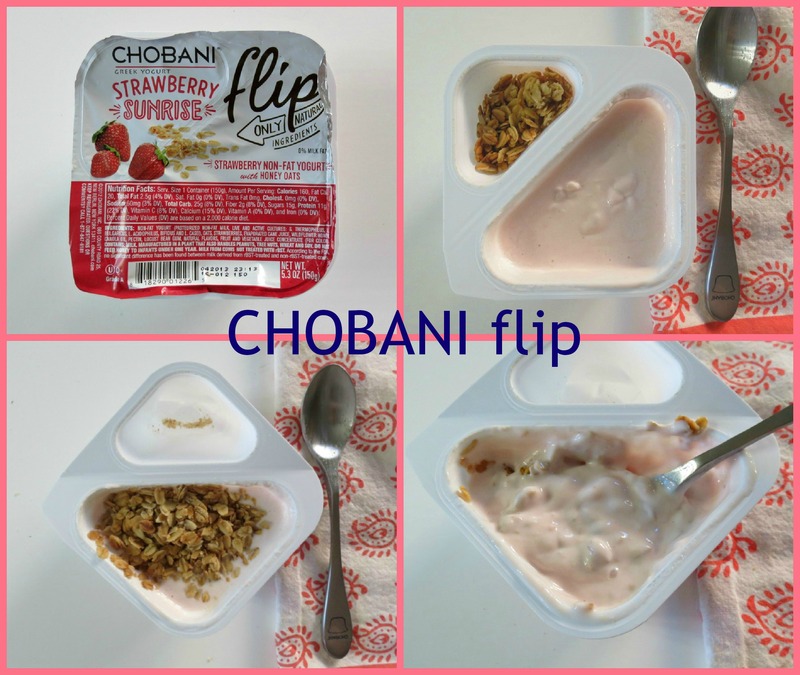 Speaking of Chobani, here is a link for some coupons that I spotted on their website. I also have to show you the spoon they sent, so cute. My Husband asked if he can have it for his coffee. Umm, no! He doesn’t even eat yogurt! Silly man! Now for the next thing to share with you. 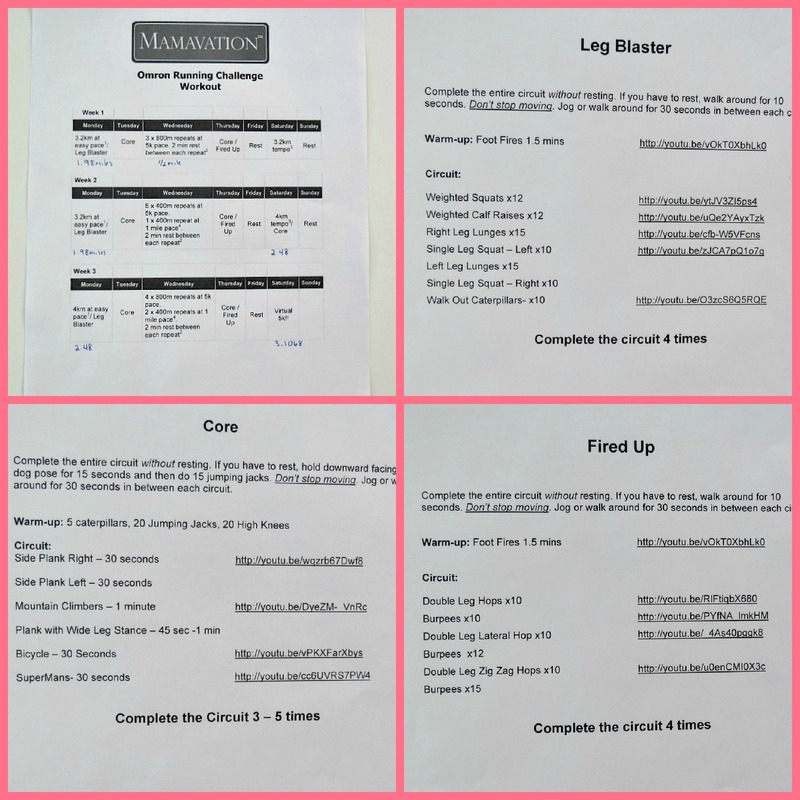 I am going to be in a virtual 5k Challenge through Mamavation. Have you ever heard of Mamavation? They are an on-line community of Mom’s dedicated to obesity prevention. I love the group! Out 400 people who applied for the challenge, they picked 25 bloggers and I was one of them! I am excited and scared at the same time. I am not a runner and this will be my hardest workout challenge ever. I ran 2 miles in 26 minutes the other day and my legs were sore for two days. I can’t imagine running 3.1 miles, but I am sure going to try! The virtual 5k challenge is on March 30th. They give you a 3 week training program to help you along. Plus participating I got the new OMRON Strapless Heart Rate Monitor to help push myself further! I know I can do it! I just have to try and give it my all! The first day of training starts on Monday. I thought I would share with you what my training program looks like. Pretty scary!! Especially for someone who can speed walk her way through a grocery store or shopping mall, but not in a virtual race! Eck!! 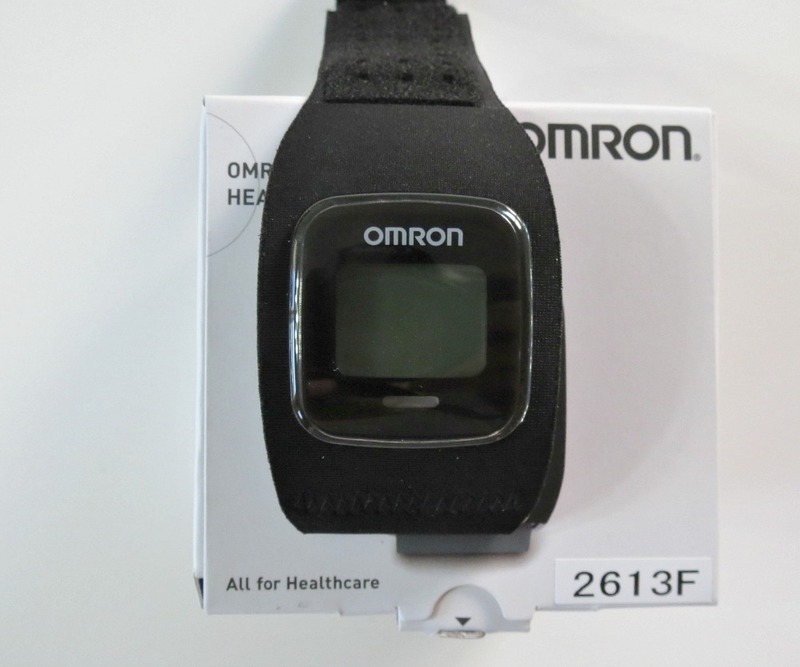 But I am excited to try the OMRON Strapless Heart Rate Monitor. The heart rate monitor I have now has a strap that goes across the chest and I spend more time fixing it, then I do working out. It’s so annoying. Since I got the watch on Friday, I haven’t had time to play around with it, but I will this Sunday. What is also cool about this watch is that you charge it on your computer and you can upload your runs on OMRON Fitness’s Dashboard so you can see how your coming along. I’ll be posting my workout stats on Facebook and Twitter, so watch out for them. I can’t really give you to much more information on the watch, since I haven’t actually used it, but I’m pretty excited too! You can check out OMRON Fitness Facebook page or website for more detail. Next on my list is Trader Joe’s! I went shopping there this Saturday and I picked up some new items, which I will put on my Trader Joe’s page. All of this cost me $118. I was low on groceries. 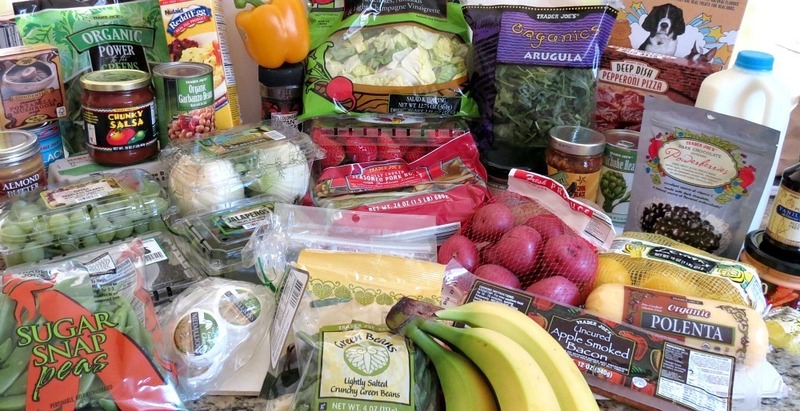 Since I did a little shopping at Trader Joe’s, I thought I would share with you a few Trader Joe sites I found. The first one is of course Trader Joe’s website. They have a Gouda Cheese that is made with pesto and it’s a funny green color. I saw it at the store but didn’t look at it because of the color, but now I wish I got it. They had a recipe for pretzels with the green Gouda Cheese, which is perfect for St. Patrick’s Day. Plus they have a little video on how to make the pretzel shapes. I thought I would share the link with you. Remember last Saturday when I posted the link for HuffPost Taste on Trader Joe’s products and the comparisons to famous name brands? Well this week, they did a taste test on these products. I love reading this kind of stuff, so I thought I’d share that link with you. 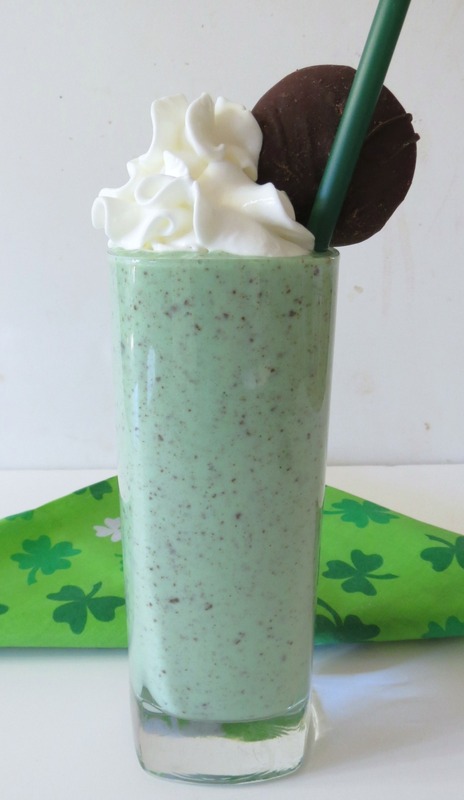 I finally remade my Healthy Shamrock Shake. I wasn’t pleased with the pictures and since it’s St. Patty’s time, my photos have been popular and I’m kind of embarrassed of them. These pictures aren’t great, but it’s better then what I have, so I’ll be changing them out on my original post soon. Here’s my newest photo. By the way, my Husband had his first one today and he liked it, but I did go light on the mint for him, since he’s not a huge mint person like me! I had other things to share with you, but honestly, I’m getting super tired and I still have to make dinner and do a Target run! So I am going to share with you this weeks recipe recap. 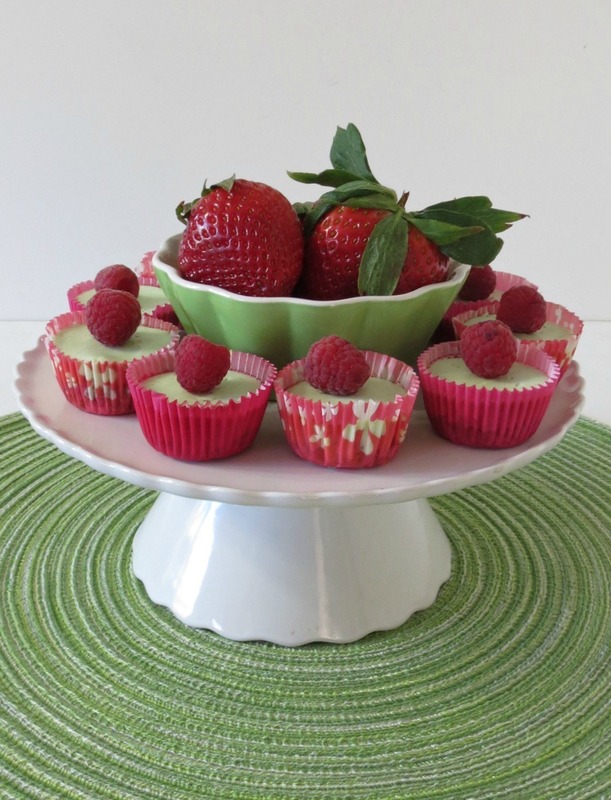 Sunday: Mini Lime Cheesecake Bites #SundaySupper – I personally think these little cheesecakes are simply adorable. The lime cheesecake part is so creamy and delicious. I like the oat crust, but next time I think I will run to the store and get some graham crackers for the crust, since I like that best! These were great! I made a few changes to the recipe though. Instead of adding the peanut butter swirl on top, I baked the batter as is (without the chocolate chips because I didn’t have any on hand), and when they came out of the oven, I allowed them to cool before sampling a small piece. They reminded me more of dense, fudgy truffles than of brownies, so I decided to make them into truffles instead. I mashed them up, using a fork, when they were completely cool. Then, I made them into spheres using a small scoop (probably equivalent to two tablespoons), rolling them in my hands so they were completely packed together and round. I then melted in the microwave some peanut butter, powdered sugar, and milk to make a glaze and dipped each “truffle” into the mixture. They taste like a more decadent version of Munchkins! Great idea, don’t you think? 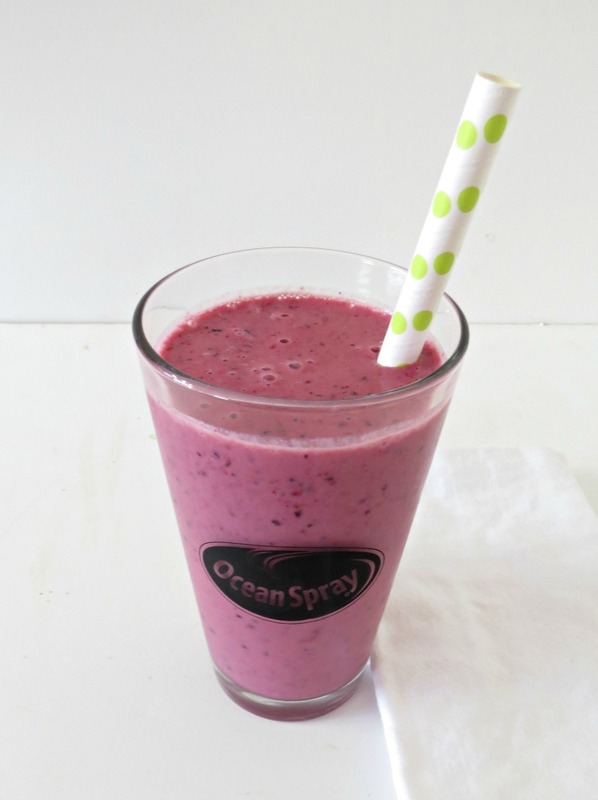 Tuesday: Diet Mixed Berry Smoothie – I love this smoothie, it’s simple, healthy and perfect for an afternoon break! I had this smoothie a few times this week and I made one today too I kind of get stuck on stuff and I have it over and over, until I’m bored with it. 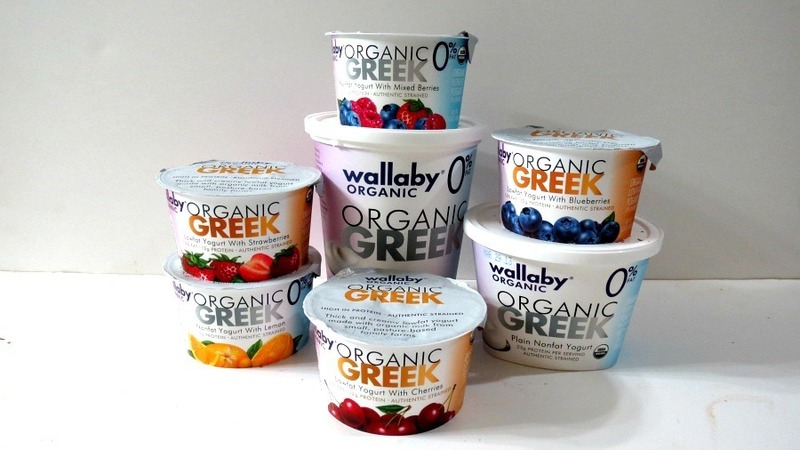 Wednesday: Wallaby Greek Yogurt Giveaway – This was a new yogurt to me and I was pretty impressed with it. 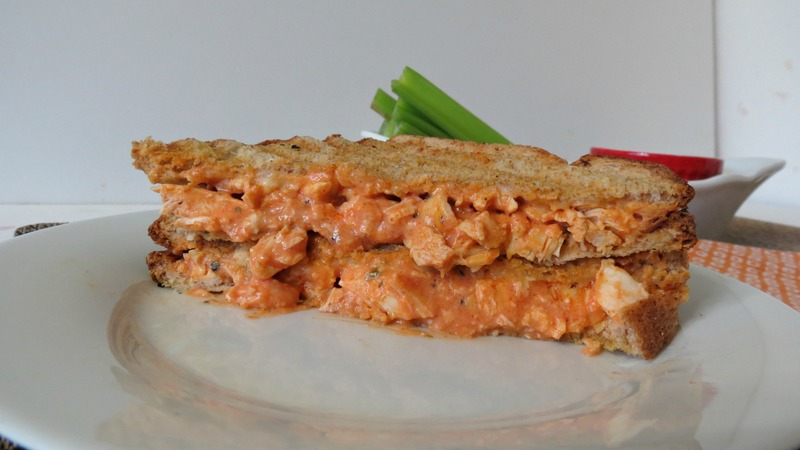 Thursday: Buffalo Chicken Panini Sandwich – I love this sandwich! This is my go to sandwich when I don’t know what to make for dinner. I LOVE anything Buffalo chicken style, which you may already know from past posts. I just wish I took better pictures. I can tell the sun is changing because my normal photo area is now an odd color during dinner time. I guess I’ll have to eat dinner a little later so I can get better photos. 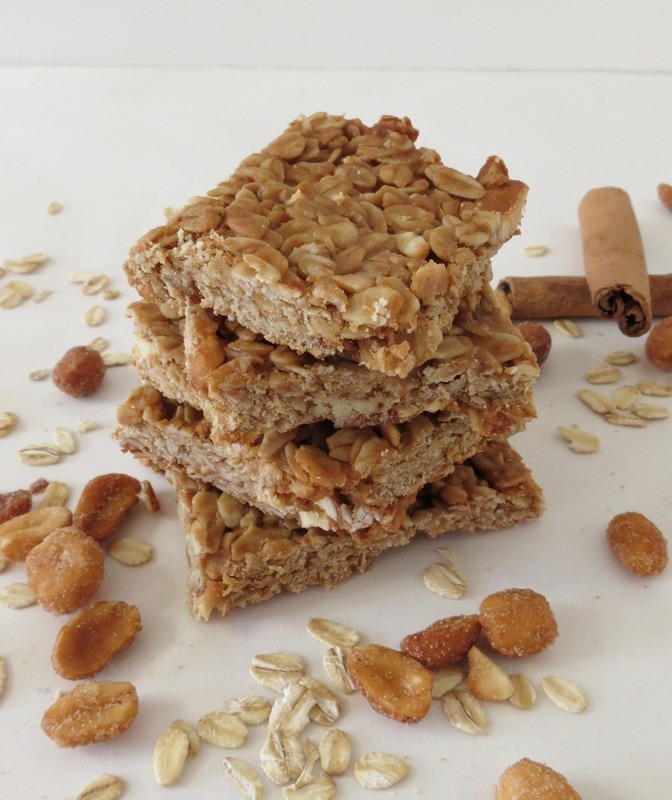 Friday: Peanut Butter and Honey Oat Bars – These bars are amazing! They are so simple to make and is perfect for a lunch time snack. My Husbands friend told me he really enjoyed them. My Husband who doesn’t care for peanut butter or oats, said he liked them too and enjoyed having something different in his lunch! I was shocked! 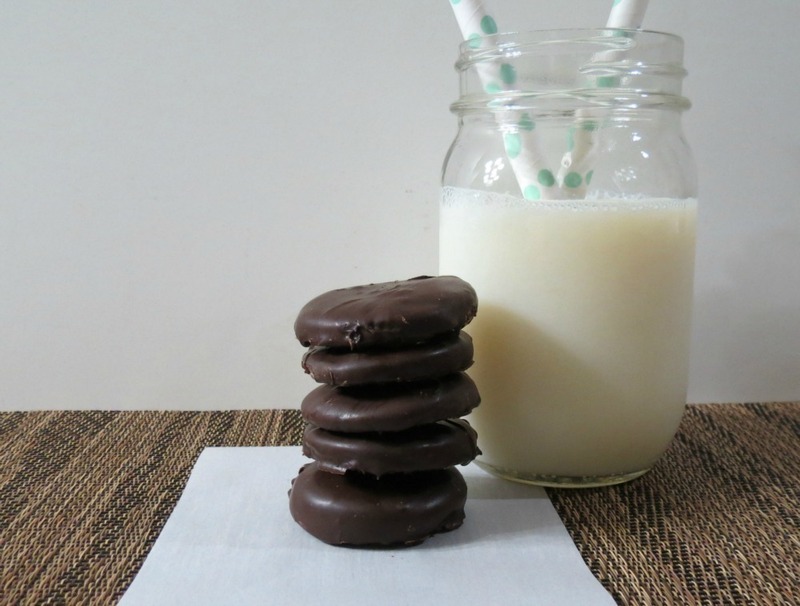 Saturday: Thin Mint Cookies – These babies are my new favorite cookie! I can’t get over how much they taste like Girl Scout Cookies! They were a hit at home and at both our works. I can see making them very soon! P.S. 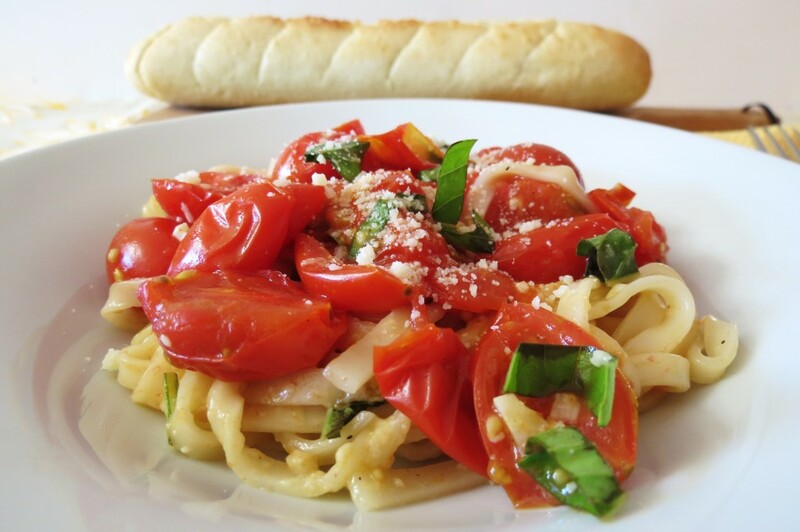 This weeks craving is Fresh Pasta with oven roasted Tomatoes. I have been on a past kick lately! You’ve been busy as a bee, you’re making me tired just reading this. I love how much energy and enthusiasm you always have – wish it could be bottled and sold! Delicious week, I`ll take two of everything. What a week 🙂 I could eat everything. Wow, lots of great things going on! I love those raw cookies! A lot of great information on this post too! The Almond Joy Cookie Balls called my name! I am a total coconut addict and will definitely try your recipe 🙂 Thank you for sharing this at the ALL MY BLOGGY FRIENDS party ! I love the coconut balls myself. My Husband ended up taking almost all of them to work! 🙁 I guess I have to make them again! 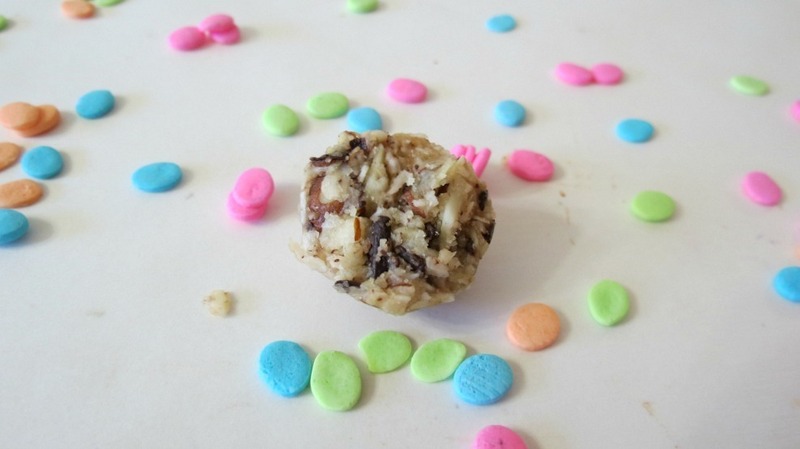 Thanks so much for sharing the almond joy cookie balls with Foodie Friends Friday. Almond joy is one of my favorite candy bars and I’m definitely going to make these sweet treats. Please stop by to vote for your favorite recipe tomorrow. 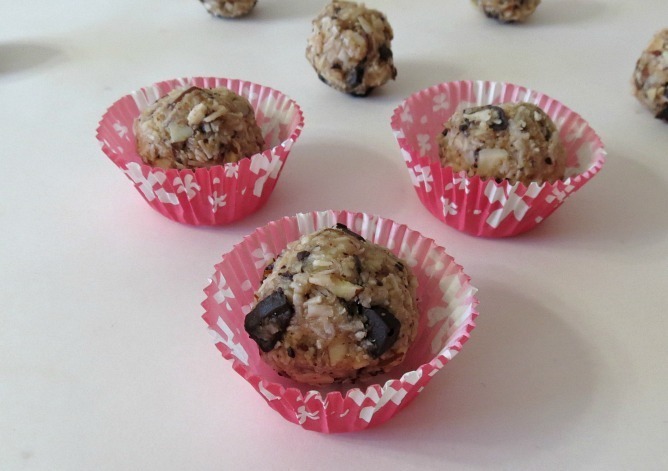 Hi Jennifer, I just wanted to let you know that I chose the Raw Almond Joy Cookie Balls as my host favorite this week for Foodie Friends Friday Cookie Party. You can see ALL the host favorites on which will be LIVE at NOON Eastern time. I will feature your post on my FB page, google+, and will PIN the photo. 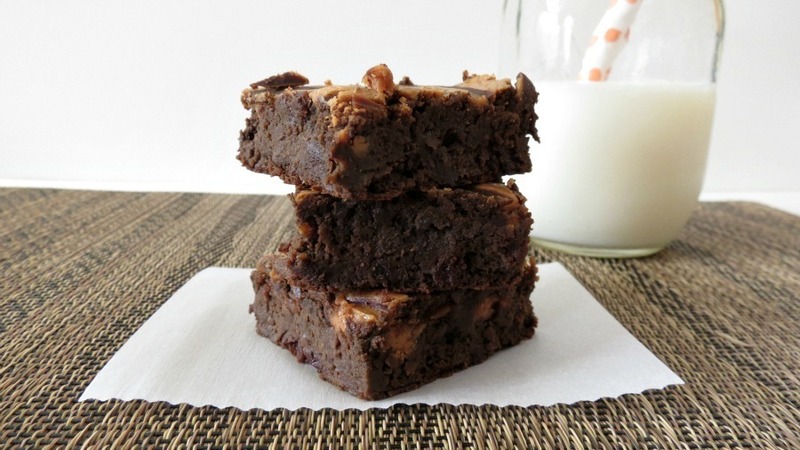 Thank you so much for sharing your recipe on Foodie Friends Friday. We look forward to seeing you next week. Yah! Thank you so much!!!!!!!! You made my day!! 🙂 I’ll be sure to check out the hosts other picks!! 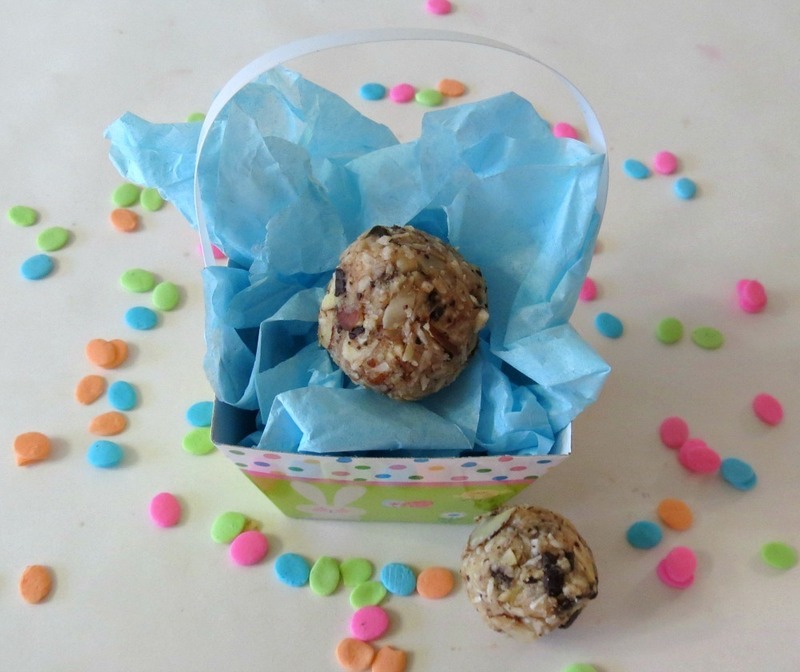 This was such a fun post and those raw cookies sound super tasty! So glad I found you on Foodie Friends Friday! Thanks for linking up!